This Xpower fan has 4 different blowing angles, and can be stacked up to 4 high on its side, just like our carpet cleaning air mover. With different blowing angles, you can safely use this fan to dry floors, walls and ceilings in any area, but especially wet basements. The rubberized feet keep it firmly in place, and with the flip up kickstand, you can blow air at 0° (flat across the ground), 20°, 45° & 90°. Available in blue or dark gray. 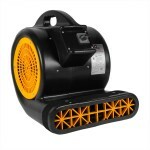 This fan can also be used to dry floors in the entranceway of grocery stores and gas stations. It can be used in the carpet cleaning industry to dry freshly cleaned carpets. 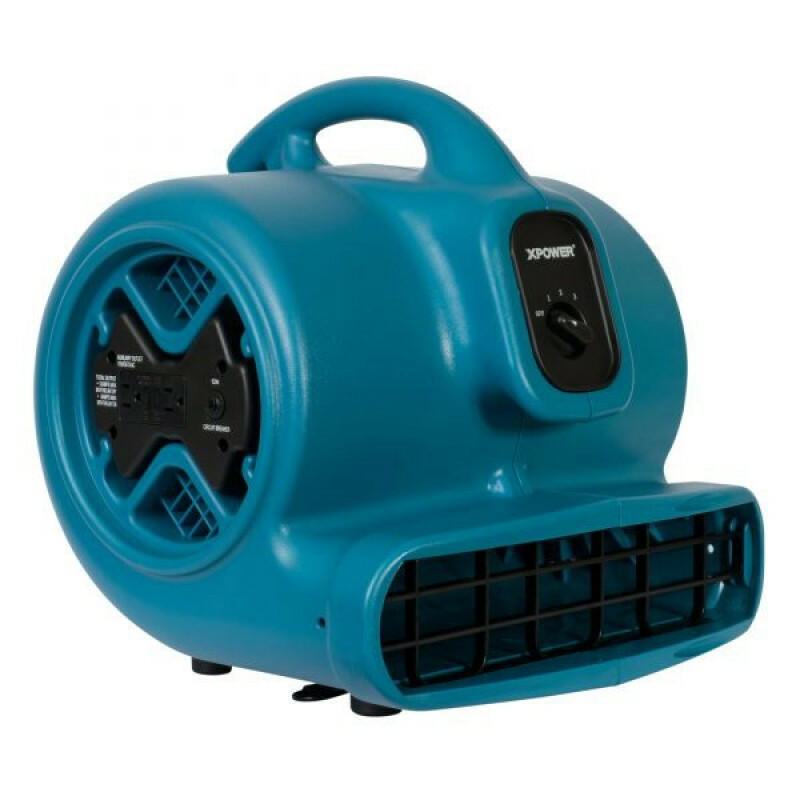 Overall, it's a very versatile fan that can be used just about anywhere, not just in drying damp and flooded basements. For more powerful units, please take a look at our full line of air moving carpet dryers. 4 different blowing positions give you maximum flexibility to dry floors, walls & ceilings. 3 speeds with a maximum speed of 2400 CFM, allows you to control the amount of air you need for the job. Recessed on/off knob is protected from accidental bumps and other possible abuses. ETL & CETL rating certify that this unit is safe for continuous use in any facility. 5 year warranty on the housing, and 1 year on parts. This is a review for the Xpower Flood Restoration & Wet Basement Drying Fan with Built-In Power Outlets.